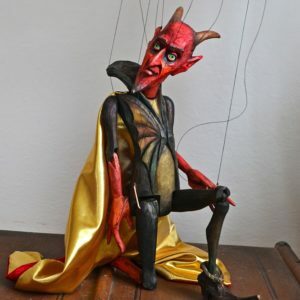 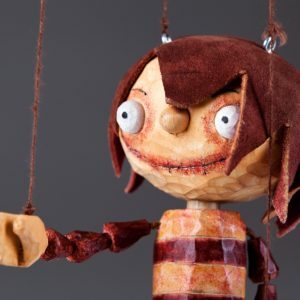 This marionette is intended for advanced puppeteers, but if you have will and want to learn to play with marionettes after few days of exercise you will progress and play well. 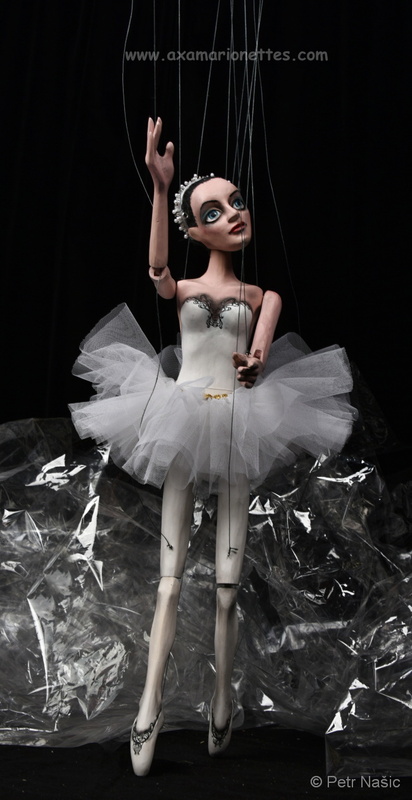 Do your performance with the glamour Ballerina marionette. 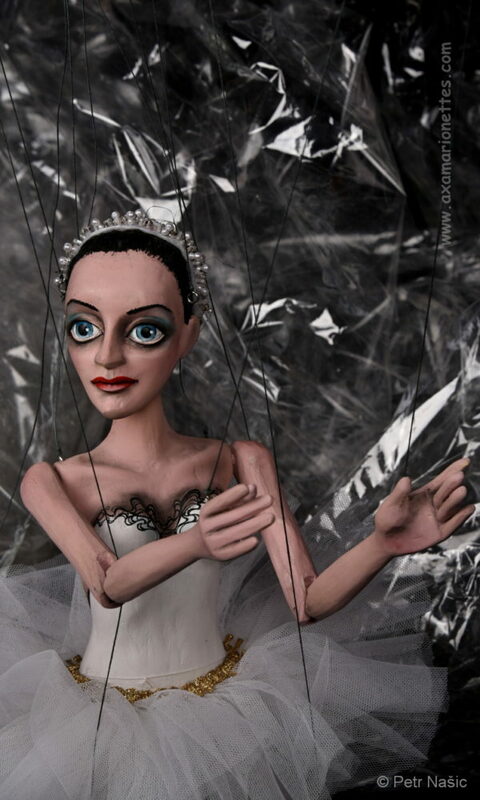 She can dance any way you want her to. 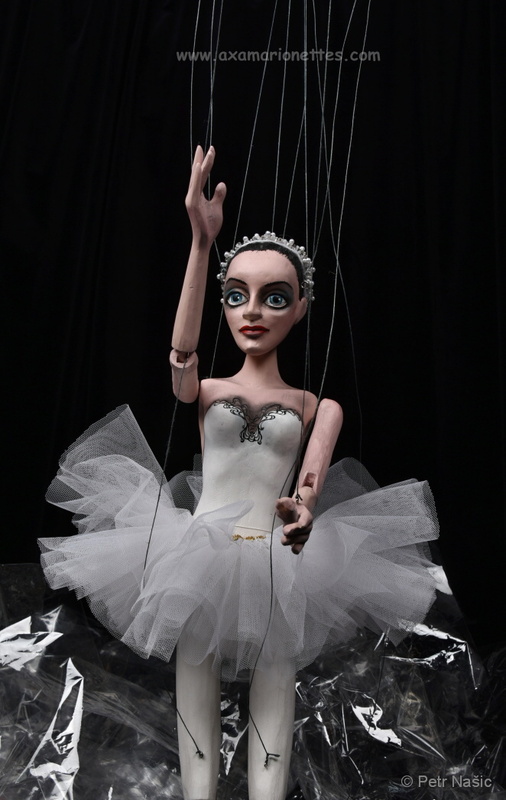 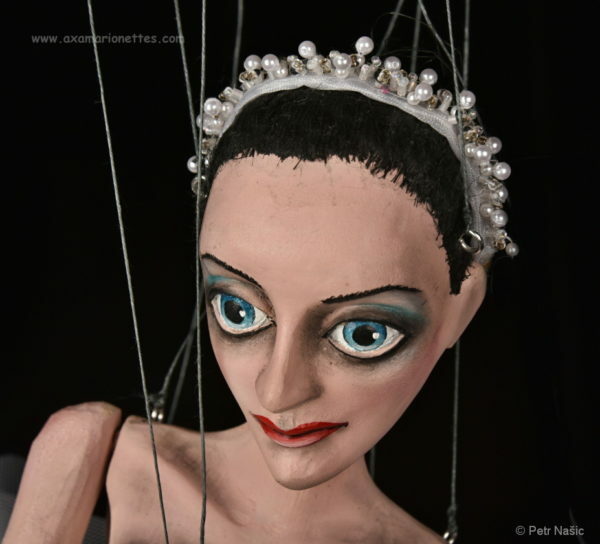 The puppet legs are controlled by the strings on thighs and on heels. 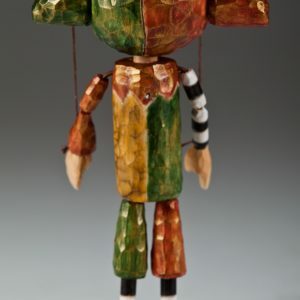 There are double hip joints for better movement. 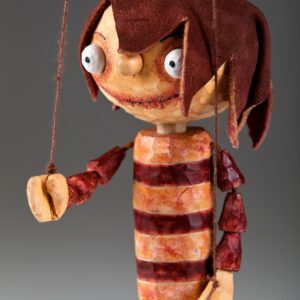 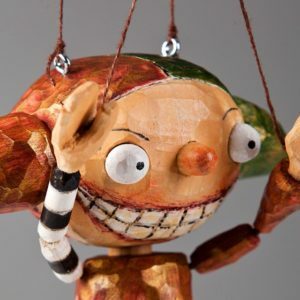 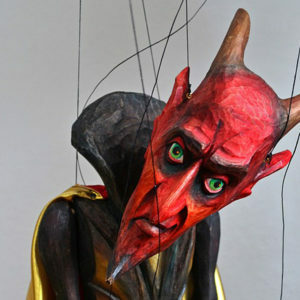 Each puppet is a unique original, carved, hand-painted and hand-sewn, so there will be slight deviations from the puppet picture shown on the page.